Click the image to access your pre-approved invitation. Welcome! 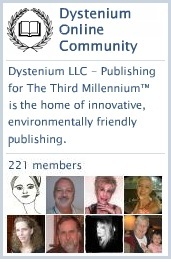 This entry was posted in DYSTENIUM Online Community, ning, Writers and Authors Groups and tagged DYSTENIUM Online Community. Bookmark the permalink.